Cypress system PLUS engineers pioneered technology miniaturization, such as subsystems designed into reprogrammable logic chips and high-speed, full-resolution image transfer to the internal hard drive. Furthermore, advanced architectural partitioning allows the Cypress platform to provide large system performance in an 8 kg (19 lb.) 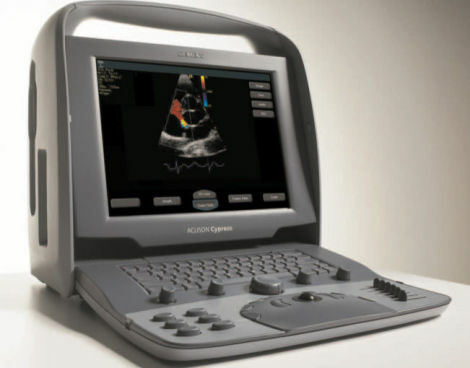 portable system, without compromising diagnostic confidence, image quality, or functionality.